Stock trading is all about minimizing risks – using right strategies – to optimize the returns. It’s a game not for daredevils who are always on the go to take big risks but for smart individuals who are calculative in their overall approach. In short, risk management is a key to become a success trader. Of course, it’s an art that doesn’t come naturally. It needs to be learned, tested and learned better. Fortunately, literary world has always been graceful on the learners. There exist plenty of high-valued books written on risk management that explore this subject using extensive research, statistics and case studies. “You can learn investing by reading book,” said Bill Ackman. No wonder, even after having billions in his bank account, Warren Buffet reads 500 to 1000 pages per day. 1. The Failure of Risk Management: Why it’s Broken and How to fix it? Written by Douglas W. Hubbard, the book takes a close look on the basics and busts the clichéd risk management methods with straight-up facts and examples of real-life events, like 2008 credit crisis, natural disasters and outsourcing to China. 2. How Risky Is It, Really? It is written by International risk expert David Ropeik. The book takes up risk management from a psychological point of view. Blending comprehensive facts and entertaining tone, it will give you a clearer picture of various aspects of decision-making and how you can balance risk and return optimally. This piece of marvel is written by Greg Ip. It strives to take off readers’ safety net and comfort bubbles using practical examples and case studies. In this book, you will learn about the theory of human nature and disaster that will arm you with the right mindset to tackle risks. Of course, there are plenty of such awesome books that vouch to give readers insight on how to identify and tame risks by having a right set of practical actions. This, you can apply in your own stock trading journey to avert risks in market and make more money out of your investment. So if you aren’t already a geeky type, get into the habit of reading everyday—to improve yourself as a trader and as an individual. 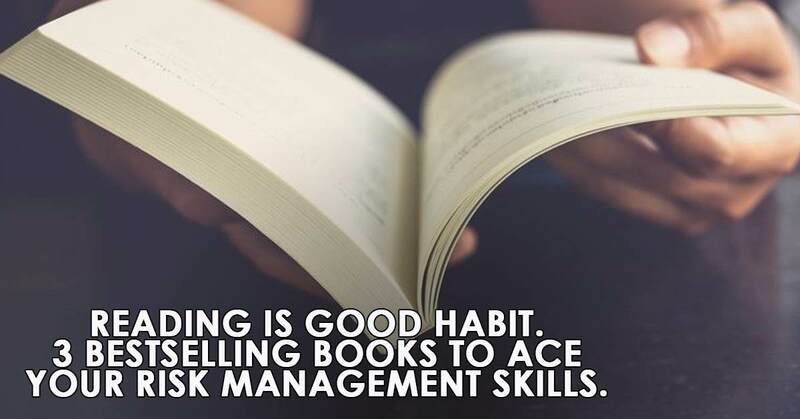 Start with the mentioned risk management bestselling books.